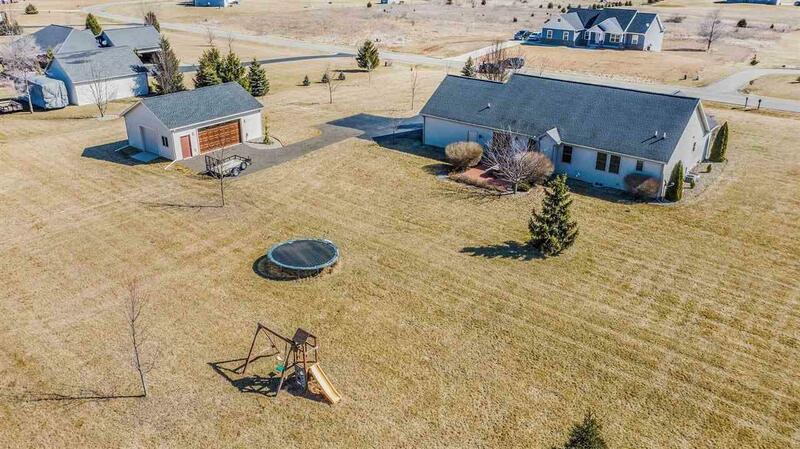 Spectacular Custom Built Ranch located in one of Grass Lake's most desired Neighborhoods, Eagle Crest! 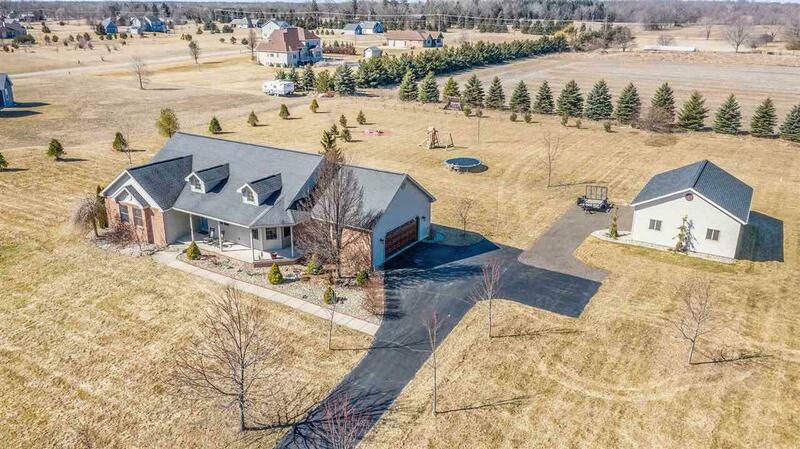 Situated on 2+ acres, this 5 Bedroom, 3 Full Bath home offers 3,541 finished sq. ft. of Meticulous Living. Features include a Master Suite with a Walk In Closet, Private Bath and Dual Sinks. The main floor has 2 additional Bedrooms, Full Bath, Laundry Room, Kitchen with Granite Countertops, Pantry, Breakfast Bar, Casual Dining Space and Hardwood Flooring. Also, 15ft. Vaulted Ceilings Highlight the Living Room and Dining Room as well as a Cozy Gas Fireplace w/StoneSurround. The Finished Basement is perfect for entertaining with a Spacious Family/Recreational Room, 2 additional Bedrooms, Full Bath & 9ft. Ceilings. 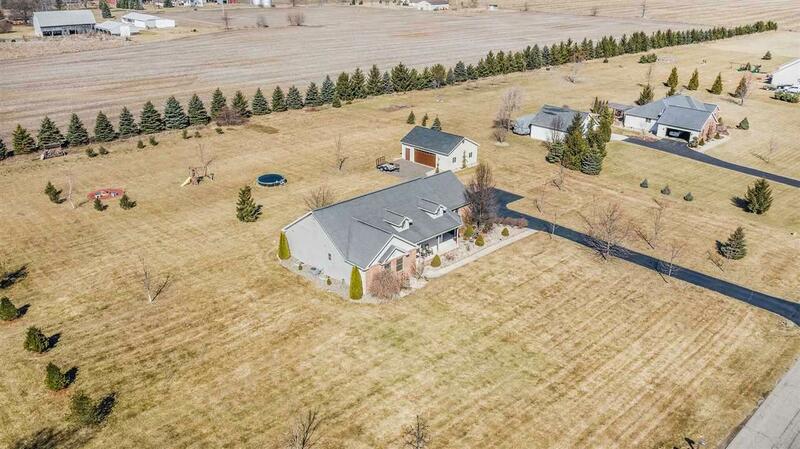 Other features include a 2.5 Attached Car Garage, Newly Constructed 32x24 Pole Barn w/9 ft. Walls, Service Door/10ft. Walls, Concrete Patio, Irragation System and Fire Pit. 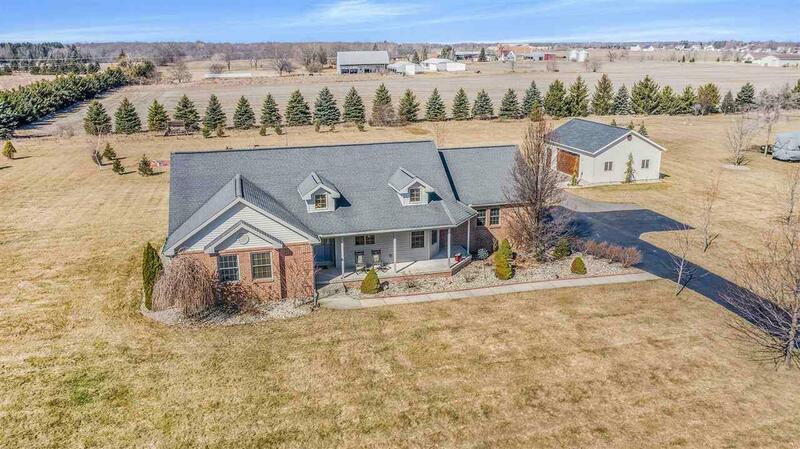 OPEN HOUSE TO BE HELD ON MARCH 30th, SATURDAY FROM 1pm - 3pm & MARCH 31ST, SUNDAY FROM 12pm - 3pm.